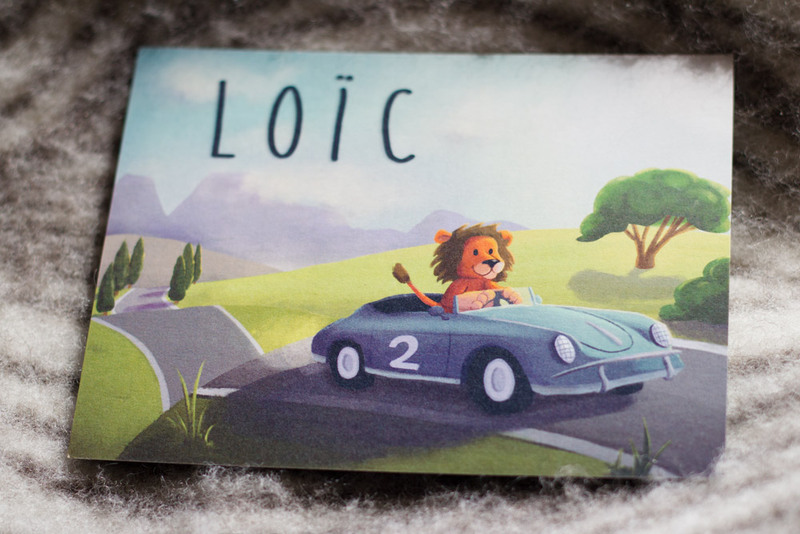 Isabelle saw the birth card I’d made for Loïc and liked it so much that she asked me to design a card for their upcoming baby. 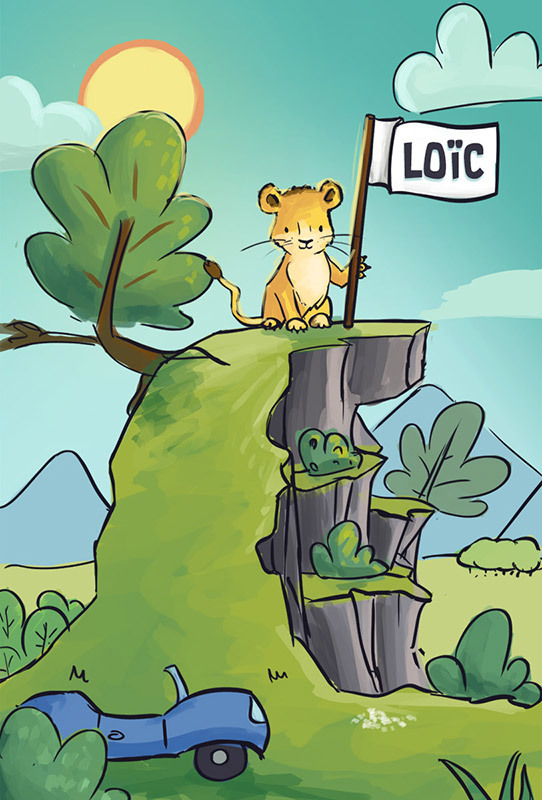 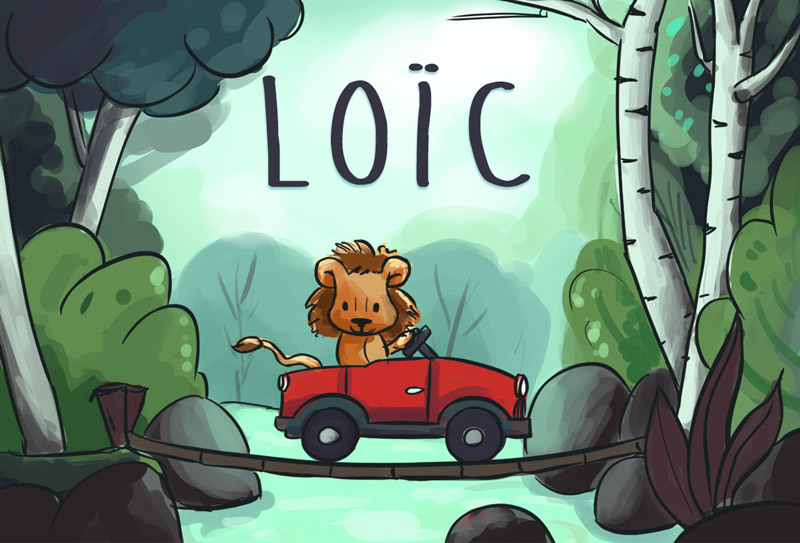 She and Christophe were going to name him Loïc as well! 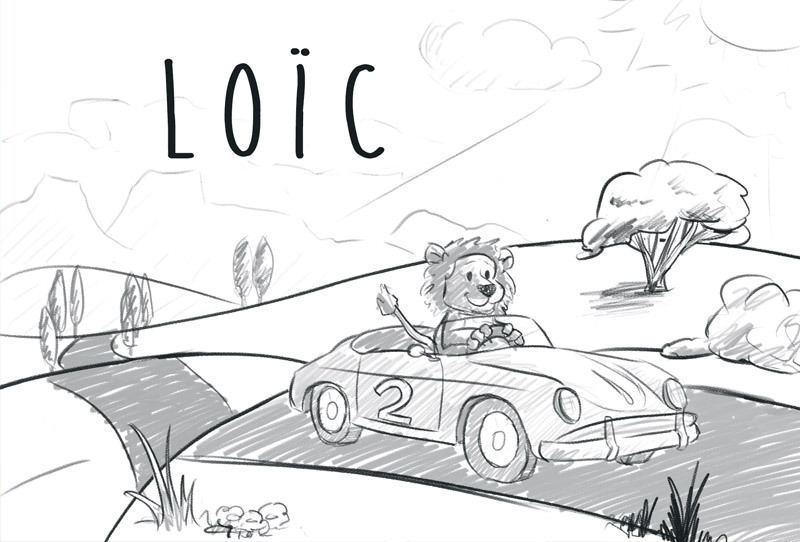 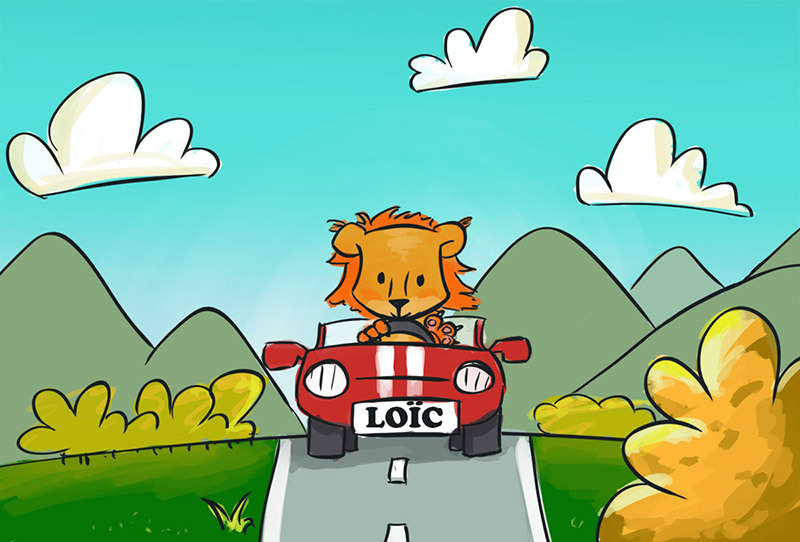 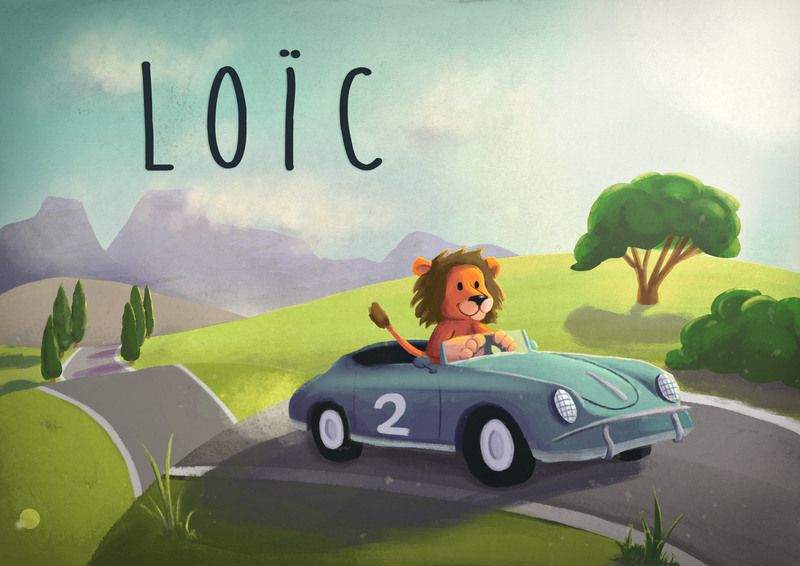 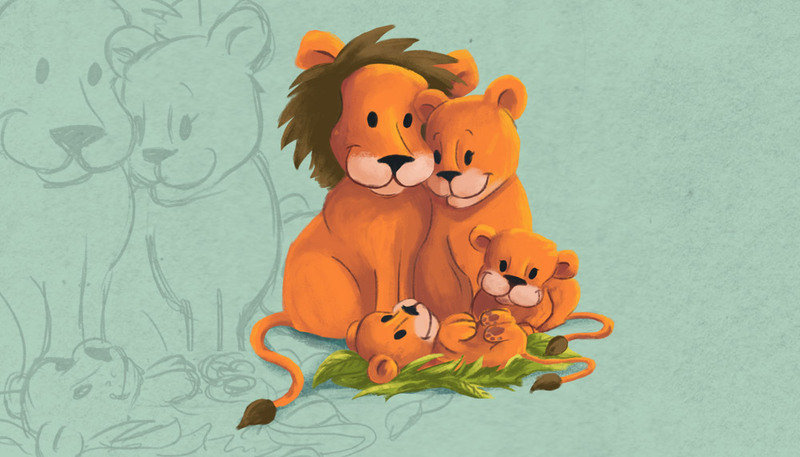 Their daughter really likes lions, Christophe loves old timers and they were looking for an ‘on the road’ feeling. 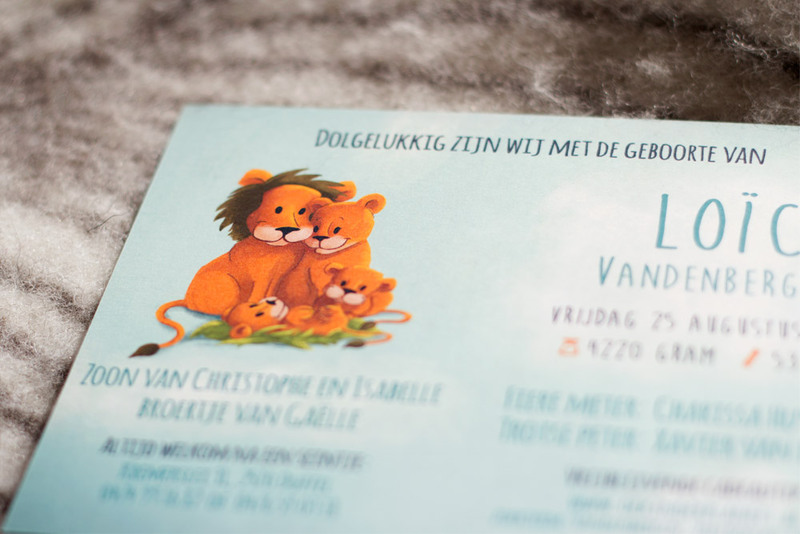 All these things combined, resulted in this card!